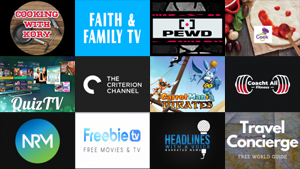 We reviewed 28 new Roku channels this week, with content in the categories of Comedy, Fitness, Food, Games, Kids & Family, Lifestyle, Movies & TV, Music, News & Weather, Special Interest, Sports, Travel, and Web Video. Click on the links below for more details on each channel, including our exclusive channel reviews. Headlines with a Voice - Narrated daily news, with a focus on D.C. politics. MFit - A Fitness and Healthy living YouTube channel. Candace Lowry - Lessons on "how to adult"